“Yeah, we’re all a messy mix of good and bad, flaws and virtues. We’ve all been mean and petty and cruel, but (and here’s the important part) we’ve also been soft and forgiving and kind. 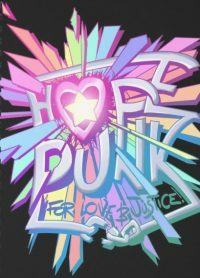 Hopepunk says that kindness and softness doesn’t equal weakness, and that in this world of brutal cynicism and nihilism, being kind is a political act. An act of rebellion.” Might these also be acts of faith? What can the newly defined literary genres of ‘grimdark’ and ‘hopepunk’ teach us about what our choices mean to the world? General Budget is the recipient of the February 2019. Click here and Select Contribution/Donation/General Budget to support ASUUC.